Iced teas are an intelligent choice to people who are looking for exciting tastes, but choose to avoid unnecessary sugar and calories. Soft Puches contains natural A, B, C vitamins, antioxidants, iron and nutrients. Our personal favourite at work is Mate tea, because this guy and sleep don't get along at all. Rooibos is the odd one in Punch family because she is the only one that is still. 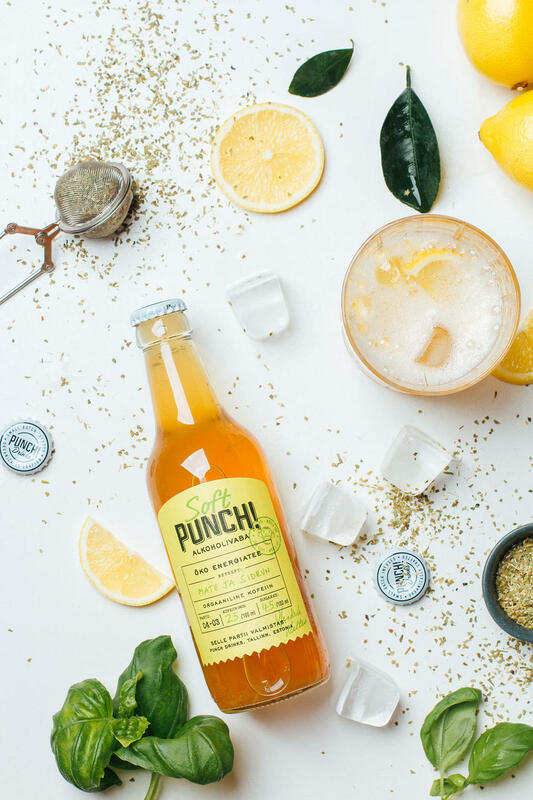 Our most classical iced tea is a perfect choice to be enjoyed with food. Infused with rooibos, vanilla, apple, grapes, redcurrant, blackcurrant. Soft Punch! Mate on is an organic energy drink. There is 2,5 x more caffeine here than in Coca-Cola, but also has 2,5 x less sugar and 100 x less crap that your body really-really doesn't need. 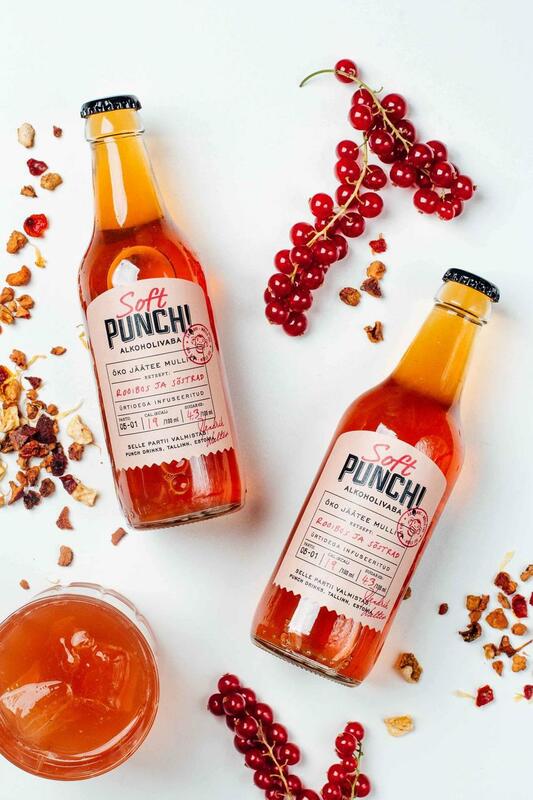 Take care, because this Soft Punch kicks! Infused with mate, lemon peels, lemongrass, quince and basil. Contains vitamins B and C and caffeine. Infused with hibiscus, apple, rose hip, banana, marigold, lemon peels and apricots. How are our iced teas made? Step 1: We handpick best organic tea leaves, blossoms and fruits. Step 2: Brew our own tea and don't use tea extracts like big companies. Step 3: We chill the tea and add sparks. Result - 100% organic iced tea with minimum sugar. We care what we eat and drink. At the same time we want it to be exciting and healthy. This is why we only make organic iced teas from best crop and use as little sugar as possible. Iced tea made in small batches are full of healthy vitamins, flavonoids (worth to google : ) and nutrients. 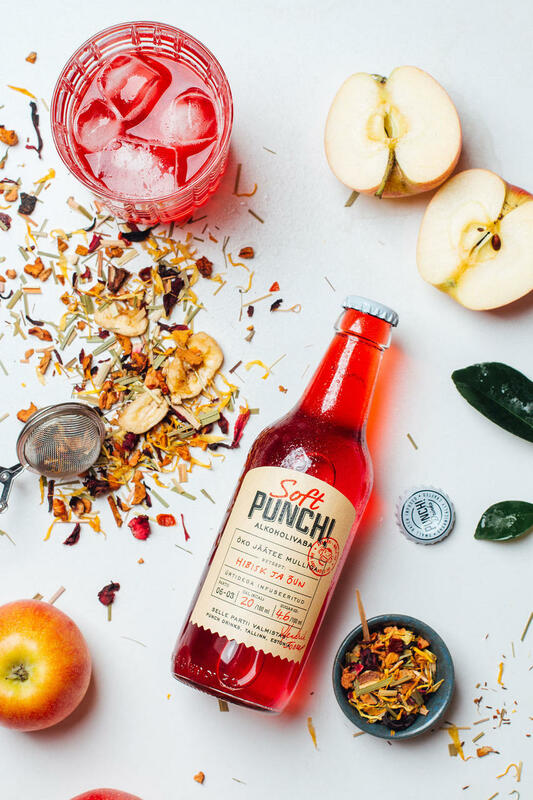 If your thirsty, have a Soft Punch.